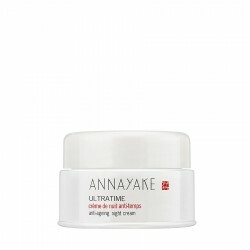 Because skin suffers daily from harmful factors and stress that accelerate the process of skin aging, ANNAYAKE offers ULTRATIME, a complete line of targeted skincare products to spectacularly offset this day-to-day damage. Perfect for women faced with the first signs of aging, this skincare line works effectively to prevent the signs of time from appearing and becoming permanent. An express anti-ageing treatment with four instant, essential effects: stimulates the natural functions, moisturizes, provides restructuring elements, and prevents aging. The new skincare step that follows cleansing to combat skin aging and improve the effectiveness of subsequent care. Specially designed to sweep away fatigue and prevent the first signs of aging. An exceptional presentation maintains perfect stability for the active ingredients. This innovative product effectively addresses all issues affecting the eye contour while also filling in stubborn wrinkles and visibly lifting the eyelids. 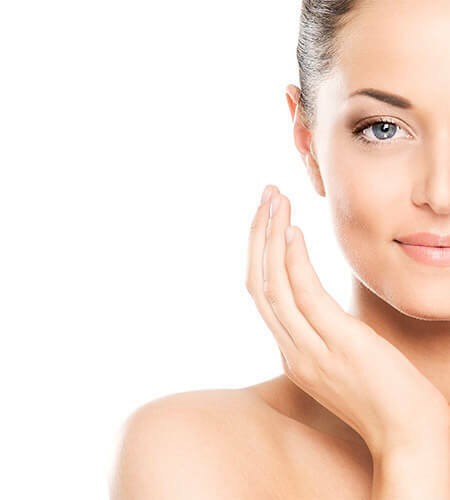 A first anti-ageing treatment, it maintains the skin's basic moisture and reinforces cellular cohesion to prevent the appearance of early signs of aging. This cream combines the performance of a basic day cream with makeup providing a lightly tanned look. A first anti-ageing treatment, it maintains the skin's basic moisture and reinforces cellular cohesion to slow the appearance of early signs of aging. Particularly recommended for dry skin. Specially formulated to act overnight, the Anti-Ageing Night Cream offers a concentrated burst of energy for cells. It's indispensable for irritated skin that has been weakened and damaged by time. Total beauty care that protects skin daily from premature ageing by acting as a shield against UV damage, free radicals and pollution. 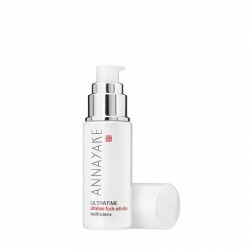 A first anti-ageing treatment, it maintains the skin's basic moisture and reinforces cellular cohesion to slow the appearance of early signs of aging.